Permanent TSB has joined Bank of Ireland and Ulster Bank in offering a tracker mortgage transfer product, permitting their existing customers to sell their homes and take out new mortgages while retaining a significant portion of their tracker loans. the current standard variable rate (SVR). So although these plans will force existing homeowners that trade homes to pay more interest on their new mortgages, home owners will still save considerably on both Standard Variable Rate mortgages and fixed rates mortgages. A PTSB customer with a current tracker rate of 1.25 per cent may pay a rate of 2.25 per cent on the portion of their mortgage which they transfer to the new property. This is significantly less than the SVR rates currently offered by PTSB. Any excess above the current mortgage will be charged at the higher SVR rates. 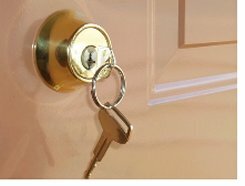 It will only apply to residential mortgages, but those in negative equity will be able to apply for it. Ulster Bank no longer offers the option for people in negative equity to keep their tracker mortgage for the full term when they move to a new property. Adding one percentage point to a tracker mortgage would see the monthly cost of servicing a € 100,000 loan increase by about € 60 compared to a monthly increase of more than € 400 if a customer to switches to a regular SVR. It is the much higher cost of switching to SVR or fixed rate mortgages which may be preventing many of the 375,000 tracker mortgage-holders from trading houses and losing their current cheap mortgages. 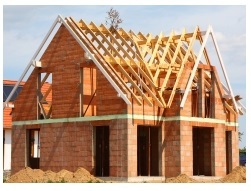 These new plans by Bank or Ireland and Permanent TSB may increase the supply of houses for sale, especially in Dublin. 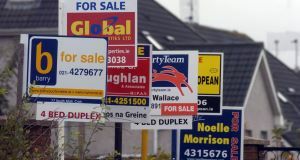 The move is likely to force the hands of other banks, such as EBS and AIB, which have been reluctant to develop products to allow homeowners move on. On the 8th March 2014, it was announced that a new tracker-transfer product will be offered by AIB and its subsidiaries EBS and Haven, and will be available from the summer. KBC Bank will allow homeowners on a tracker mortgage to move the loan to a new property and pay a slightly higher premium on the tracker rate. KBC will match Permanent TSB by allowing its customers to keep the tracker rate for the full term outstanding on their current tracker. This summary is based on recent articles in the Irish Times and Irish Independent newspapers and is subject to errors & omissions.